Looking across farmland to Okia Flat, Victory Beach and Wickliffe Bay to Te Whakarekaiwi Point. Papanui Inlet centre. 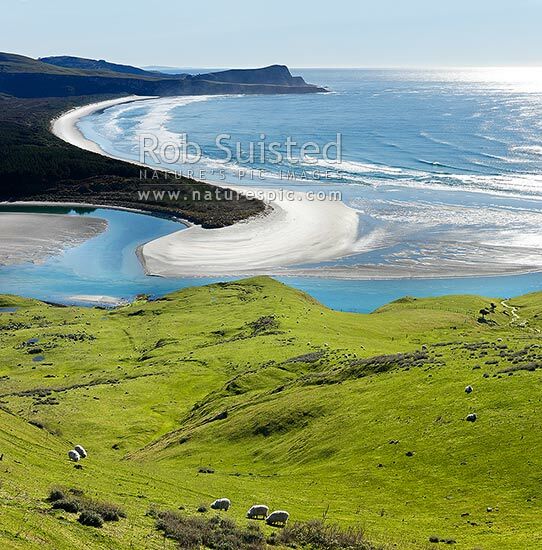 Square format, Otago Peninsula, Dunedin City District, Otago Region, New Zealand (NZ), stock photo.